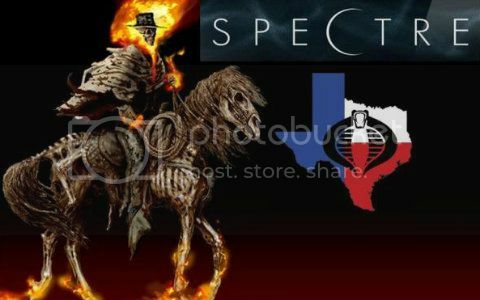 Hey Spectre I looked for that pic of your custom black cobra commander you posted a while back, but I guess you took it down. Can you post it again so I can save the image this time, I doubt I'll replicate it, to many parts but I'd like to have a pic of it to admire. It's in Round Rock, TX. Thanks a ton and she already knows that day is reserved for all things Joe!! Hey thanks Spectre it is certainly a exciting time and one that I have been looking forward to for a while now! Thanks for the add Spectre! Hey Spectre, thanks i had fun. Good to meet you and hang out.